You may decide to purchase an asset, start a business, or go back to college. If you do not have the required financial resources on hand, you will have to try to obtain a consumer loan. How do you go about obtaining a consumer loan? The first step is to determine if you are going to purchase the asset, remodel your home, take a vacation, start a business, or enroll in college, that is, spend the money now. You may decide to postpone spending until a later date or not to spend the money at all. In the case of a car, you might need to decide whether to purchase or lease. If you decide to make the expenditure, you can either pay cash for the entire amount or borrow part or all of the money needed. If you decide to borrow the money, you must first select a lender. The selection of a vendor involves several factors. Some sources of loans can immediately be eliminated. For example, you need an equity position in real estate or a cash value life insurance policy tomorrow from these sources. There may not be any mutual savings banks in your area, you may not be a member of a credit union, or a certain lender may be unwilling to offer a loan for your intended purpose. Selecting a lender involves some “leg work”. Logic dictates that you should start with the lender that makes the type of loan that you desire and that provides the most favorable terms (for example, lowest interest rate, desired long duration). Phone calls and visits to lending institutions can provide the general information you will need. You should also consider more than one lender in the desired category. For example, if you determine that a commercial bank is your best source of funds, you should contact several commercial banks to compare loan terms. Lending institutions sometimes offer special loan deals for qualified applicants during specific time periods. Just because you decide but one source of consumer loans is best for you does not guarantee that the lender will concur with your conclusion. 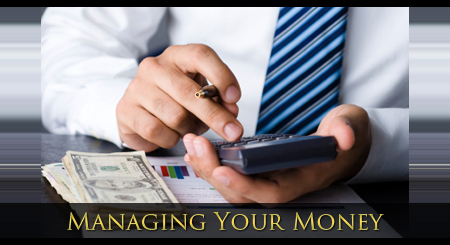 The lender must determine if it should loan you the money. As a first step, the lender will provided a loan application form for you to complete, much of the information required on a credit card application is also required on a consumer loan application. When considering housing, it will probably make one of many different decisions. 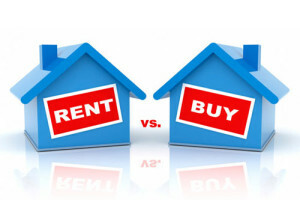 The first is whether to rent a house or apartment or buy a home. 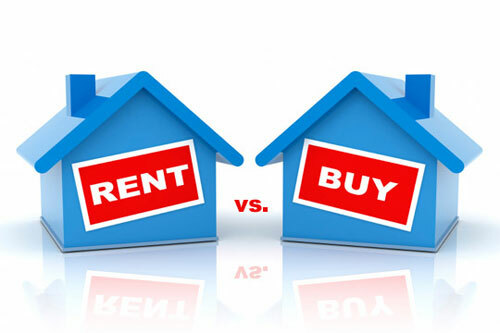 The rent versus buy decision is based on many variables, two of the most important of which are lifestyle preferences and financial considerations. Some rent versus buy decisions are based on lifestyle preferences. Older persons, for example, may prefer not to be the responsible for maintenance of property. Persons moving to a new community often prefer to rent for a time until they know the community better and can make a more informed decision about where to purchase or build a home. Persons desiring more room and the ability to make whatever changes to the property they wish may choose to purchase a house. But at the heart of many rents versus buy decisions is simple economics. Home purchasers are required to make a down payment. Thereafter, they make monthly mortgage payments, usually for 15 or 30 years. Renters are not required to make a large down payment, but must make rental payments to the property owner, usually on a monthly basis, for as long as they live in the rental property. Property owners built equity through their mortgage payments. Equity is the difference between what the property is worth and the amount that is owed on the property. In addition, home buyers reap a number of tax benefits associated with the purchase of the property. Renting does not build equity in the property or provide tax advantages to the renter. Many home buyers, at Tom and Frances Sullivan hope to be, start as renters while accumulating enough funds to make the down payment on a home. If you rent an apartment, then dollars cost of renting includes the actual rent payments that you make and the cost of renters insurance. If you purchase a home, you incur some direct expenses, you forego some income, and you receive some tax benefits. The direct costs of owning a home include mortgage payments, property taxes, homeowners insurance (which costs more than renters insurance because you are insuring a home), and maintenance expenses. The income that you forego is money that you could have earned from investing the down payment elsewhere. Since this investment income would have been taxed, the proper value to consider is the after-tax value of the investment income. Should credit counseling fail, at some point, the debtor may attempt to obtain relief from creditors through filing personal bankruptcy petition. Personal bankruptcy is an official declaration that an individual is unable to repay the amount owed. If the court approves the bankruptcy petition, the assets and earnings of the debtor will be administered in the creditor’s best interest, and certain financial obligations may be discharged. 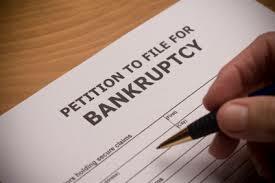 Bankruptcy petitions must be filed in U.S. federal court. The debtor must pay a filing fee and have legal presentation. There are several forms of bankruptcy. The two most popular forms are Chapter 13 and Chapter 7, named after the actual sections of the U.S. bankruptcy code in which the provisions of each appear. Chapter 13 bankruptcy is a legal remedy through which the debts of the individual are restructured according to a repayment plan. Chapter 13 is designed for debtors who have a regular earnings stream and when there is a reasonable chance that debtor may be able to repay his or her obligations if given time and protection from creditors. Chapter 13 bankruptcy is also known as the Wage Earner Plan and Regular Income Plan. Under Chapter 13, the debtor prepares a list of financial obligations and a plan for repayment part or all of these obligations over the next three to five years. The court and a majority of creditors must approve the plan. If it is approved, the debtor makes regular payments to the court or a court-appointed trustee, who in turn makes payments to the creditors. During this period of structured payments, interest and late payments fees are waived. The debtor is prevented from taking on additional debt without the permission of the trustee. Should the debtor make the scheduled payments, any remaining obligations are discharged. Note that the debtor retains the use of his or her assets, and no assets are liquidated. The upper limit for total debt under Chapter 13 bankruptcy was increased from $450,000 to $1 million under the Bankruptcy Reform Act of 1994. The $1 million limit includes up to $750,000 in secured debts and $250,000 in unsecured debt. The majority of individuals filing for bankruptcy protection elect the more drastic declaration, Chapter 7 (or “straight bankruptcy”). A chapter 7 bankruptcy is a legal remedy through which a debtor’s assets are immediately liquidated, and the debtor is relieved of further obligations to his or her creditors. An understanding of capital gains and losses is extremely important in tax planning. Capital gains and losses are due solely to the sale or exchange of capital assets. With certain exceptions, capital assets property you own and use for personal purpose, pleasure, or investment. Examples include stock and bonds; personal residence; personal automobiles; household furnishings; collectibles, such as coins, stamps, jewelry, gold, or art; and land held for investment. You realize a capital gain when the property is sold or exchanged for an amount that exceeds your adjusted cost basis in the property (your cost increased or decreased by certain allowable transactions). The rules determining your cost basis complex and depend on the type of property acquired, especially common stocks. Example Tanya purchased 100 shares of common stock at $39 a share and paid a broker’s commission of $100. Her cost basis is $4000. The stock is sold two years later at $102 a share less a commission of $200. Tanya has a long-term capital gain of $6000. 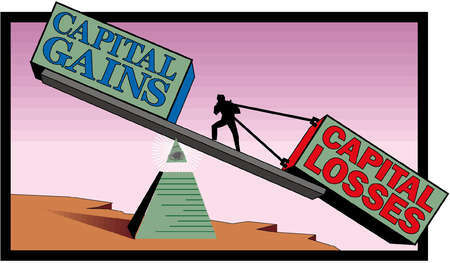 Capital gains and losses are divided into two categories: short-term and long-term. Short-term capital gain (or loss) results from the sale or exchange of assets held for one year or less. Long-term capital gains (or loss) result from the sale or exchange of assets held for more than one year. This distinction is important since long-term gains are taxed at a lower rate. Long-term capital gains (at the time of this writing) are taxed at maximum rate of 28 percent even if you have ordinary income tax at a higher rate of 28 percent even if you have ordinary income taxed at a higher rate. In determining the amount of tax, short-term transactions and long-term transactions are calculated separately. Short-term capital gains are netted against short-term capital losses, which results in a net short-term capital gain (loss). Likewise, long-term capital gains are netted against long-term capital losses, which results in a net long-term capital gain (or loss). The two resulting figures are then combined to determine if you have a net capital gain (or loss) for the current tax year. The net capital gain (or loss) is subject to a number of rules for purposes of determining the amount of tax. In addition to the federal income tax, effective tax planning requires an understanding of other types of taxes. Most states have a state income tax as a major source of revenue. Renting an apartment or a house has several advantages. As a renter, you do not commit large amounts of financial capital to housing. You make no large down payment although you will probably be required to make a security deposit or damage deposit (for example, you may have to pay the first and last month’s rent when you move in). Thus, if you have surplus funds, you can invest them elsewhere. Furthermore, because you do not own the property, you are not responsible for repairs and maintenance or property taxes. Renting is less risky than owning because if you do not like the rental property, you can simply move elsewhere when the lease expires without penalty. In some areas, rents are controlled, which means that if you choose to renew your lease when it expires, your rent can be raised when you renew your lease. In particular, rents may go up where there is strong demand rental property and a limited supply of rental units. 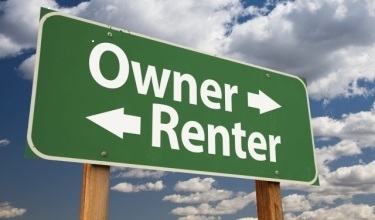 Rental payments do not build equity, and renting provides no tax benefits to the renter. In addition, as a renter, you are generally very limited in what changes you can make to the rental property. Even if the owner would allow it, you would probably not want to invest in expensive changes that would stay with the property when you moved. Finally, rental units often offer less living space than what is available through the purchase of a home. Buying a home has several advantages. A portion of each mortgage payment goes toward reducing the outstanding debt and building equity in the property. The home may also appreciate in value, building additional equity on a tax-deferred basis for the owner. 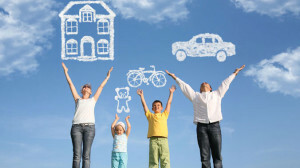 Indeed, numerous tax advantages are associated with the purchase of a home. One of the most resents tax deductible interest. In addition, as a property owner you can borrow against the built-up equity in your property. Your mortgage payments will not be subject to increase at the whim of a landlord, and you are free to change the property to suit what your tastes. You can rent the property or a portion of the property to generate rental income. Finally, you often get more living space for less money by purchasing real estate than by renting. Just as you can borrow against the savings in and cash value life insurance policy, you can also borrow against another asset you may own: real estate. Such loans are called real estate equity loans. A property owner’s equity position in real estate is the amount by which the owner’s interest exceeds the amount owed on the property. Thus a homeowner who owes $80,000 on a home valued at $140,000 has an equity position of $60,000 in the home. One way of tapping the equity in your home is through a second mortgage. A second mortgage is a loan against the equity in a home that is subordinated (secondary) to the first mortgage of the property in case of default. The first mortgage is the original loan that was made when the home was purchased. Second mortgages are of shorter duration than first mortgages and are commonly used when a portion of the first mortgage has been retired or when the home has appreciated in value. Second mortgages are installment loans, often with a large payment called a balloon payment at the end of the loan period. Since a second mortgage is riskier than a first mortgage because the claim of the first mortgage lender takes precedence over the claim of the second lender, the interest rate charged on a second mortgage is usually higher than the interest rate on the first mortgage. Common uses of second mortgages are to fund remodeling the home, college education, and business startup costs. 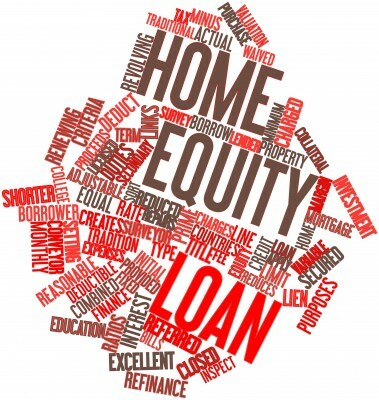 A second, more flexible, method of borrowing against the equally in a home is through a home equity loan. A home equity loan is a line of credit with either a fixed or variable interest rate issued against the equity in a home. A line is similar to a preapproved credit limit on a credit card. The line of credit typically extends for 10 or 15 years, and you can borrow up to the approved limit when you need the money. 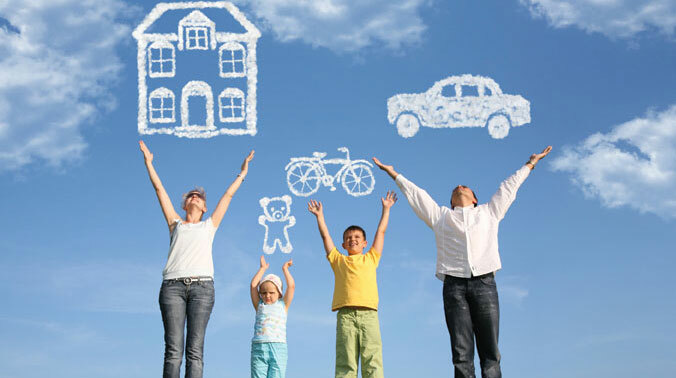 Equity loan is repaid through flexible monthly payments. One of the major advantages of home equity loans is the favorable tax treatment afforded the interest paid on them. Before the 1980s, interest on many forms of consumer borrowing was a tax deductible expense. Tax law changes in the 1980s eliminated interest deductibility for most types of consumer debt. However, the interest paid on home equity loans remains a tax deductible expense. Your rights as a credit card holder and credit applicant are protected through a number of important legislative acts. 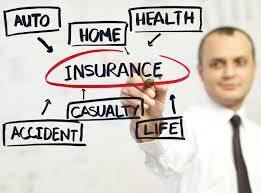 Private insurance coverage is also available to you as a credit card holder. 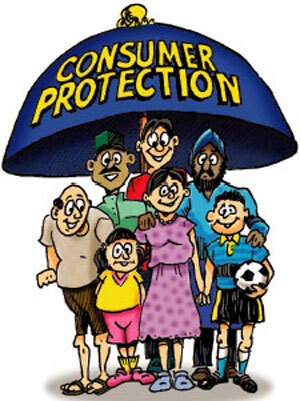 Legal protection: Federal legislation was enacted to address a number of important concerns relating to credit. Some of the major issues addressed by these laws include discrimination in the awarding of credit, incomplete or unclear disclosure of credit terms, unfair billing and collection practices, correction of credit report errors, and credit card fraud. Discrimination: As a credit card applicant, you are protected against discrimination in the awarding of credit by the Equal Credit Opportunity Act. This act prohibits discrimination on a number of grounds and requires that credit applicants be informed of the credit issuer’s decision within 30 days of receiving the credit application. The original act prohibited discrimination based on gender and marital status. It was amended to also prohibit discrimination based on age, race, national origin, religion, and whether the applicant receives public assistance (welfare) benefits. 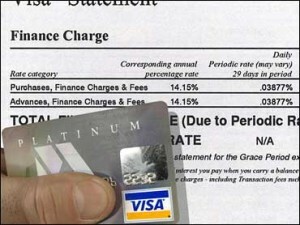 The act also addresses special credit problems that some women face. It requires creditors to report information on joint accounts to credit bureaus in both a husband’s and a wife’s name if both spouses use the account and are liable for account obligations. Prior to this change, creditors could report information in one name, usually the husband’s. This practice created problems for a woman wanted to obtain credit after divorce or the death of her husband because the credit history was only in the former husband’s name. Charge Card Disclosure Act:This act also requires credit card issuers to notify you before your account is renewed. Billing and collection practices: What do you do if you find an error in your credit card statement? You are protected against unfair billing practices by the Fair Credit Billing Act. This act regulates billing practices and sets forth procedures for correcting errors in your credit card statement. If there is a billing error, you are required to notify the credit issuer within 60 days of receiving the statement.